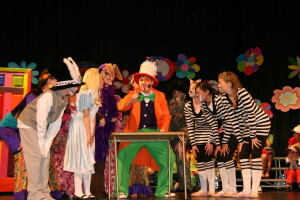 Each year our Theatre Department presents a fall play and a spring musical. Past productions include Oklahoma!, The Music Man, Hello Dolly!, The Wizard of Oz, Beauty and the Beast, Father Knows Best and Anne of Green Gables. Students are involved in all levels of the productions from cast, crew, and costuming. The NCS Theatre Department is regularly recognized through the Northwest Community Theatre Alliance’s Allie Awards and the Orpheum High School Musical Awards.